At its annual conference in Orlando, Florida, IDSA honored editor and urban planner Thompson for her long-term contributions to the design field. 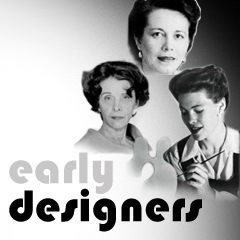 In 1954 she helped found Industrial Design magazine and served as its Editor-in-Chief. In 1943, Interiors Magazine, with Thompson as editor, began a regular industrial design section featuring manufactured products; initiated, edited and illustrated by Donald Dohner. After Dohner's death in 1944, it was continued by his business partner, J. Gordon Lippincott. This section was then expanded into and became Industrial Design magazine in 1954, the first US publication devoted entirely to the field. Over the next half century, the magazine continued to serve the design community with design reviews, articles and news of the design community. Jane McCullough Thompson, of Thompson and Associates, has lectured at Harvard, MIT and Pratt Institute, among other schools. As an architectural consultant, her credits include most of the nation's best public spaces; Boston's Faneuil Hall; Harborplace in Baltimore; New York's South Street Seaport, San FranciscoÕs Ghiradelli Square and Washington DC's Union Station. Her husband, architect Benjamin Thompson (d. 2002), urban planner and Harvard colleague of Walter Gropius, founded Design Research in 1953, the first-ever US retail store for contemporary furnishings. The first D/R store was in Cambridge, Massachusetts, with later branches in New York and San Francisco. The business was taken over in 1970, but survived until 1978.